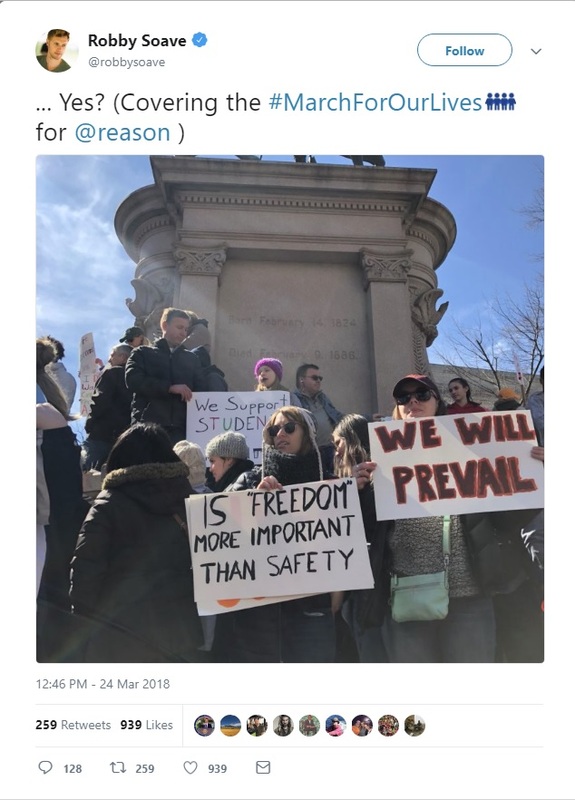 Blogodidact: Yes, Liberty IS more important than safety. If you are someone who'd march in public carrying this sign while protesting our 2nd Amendment, then you are probably someone who's spent more time marching than studying their history, and far more time yammering about 'Rights!' than thinking about what they mean, and mean to our lives. "... What is it that gentlemen wish? What would they have? Is life so dear, or peace so sweet, as to be purchased at the price of chains and slavery? Forbid it, Almighty God! 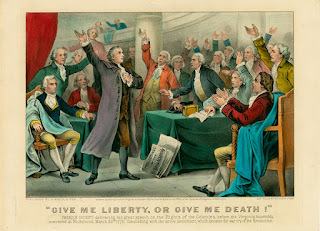 I know not what course others may take; but as for me, give me liberty or give me death!" "...I hope it will not be thought disrespectful to those gentlemen if, entertaining as I do, opinions of a character very opposite to theirs, I shall speak forth my sentiments freely, and without reserve. This is no time for ceremony. The question before the House is one of awful moment to this country. For my own part, I consider it as nothing less than a question of freedom or slavery; and in proportion to the magnitude of the subject ought to be the freedom of the debate. It is only in this way that we can hope to arrive at truth, and fulfill the great responsibility which we hold to God and our country. Should I keep back my opinions at such a time, through fear of giving offence, I should consider myself as guilty of treason towards my country, and of an act of disloyalty toward the majesty of heaven, which I revere above all earthly kings...."
I know that there are some of you who are rolling your eyes at this, and at the picture of Patrick Henry's speech. You should take note of that. If such ideas are alien to you, then however born and raised in America you may be, however legal your residency might be, the idea of America is alien to you. Please consider becoming a 'dreamer' on some other country's hospitality. Canada perhaps. Or maybe New Zealand.